The Maverick is a favorite of ours from Sinobi, with the dial design modeled from aircraft instrumentation gauges and the strong and durable materials used confirming it's military-inspired background. 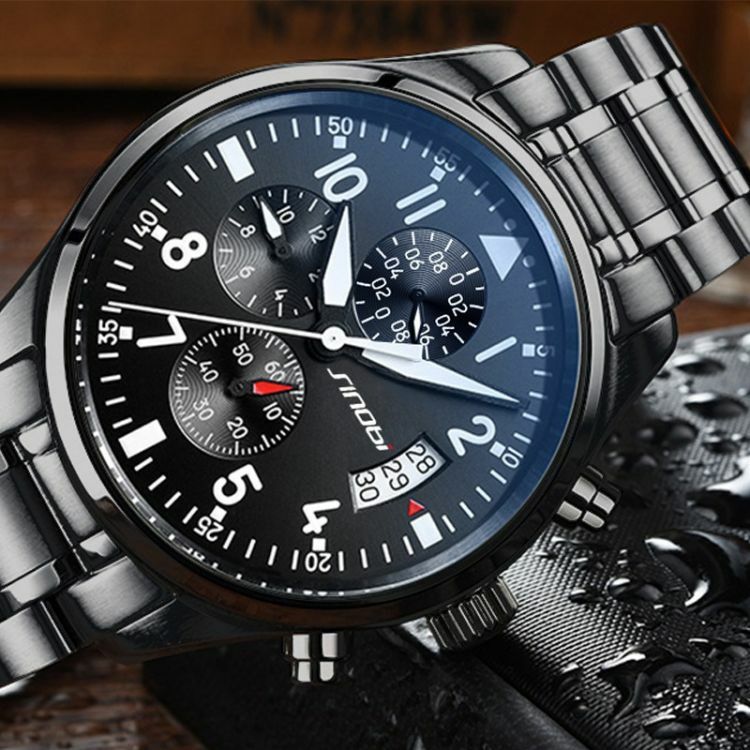 This watch has a large dial face, and uses stainless steel band and alloy steel case technology. NOT AVAILABLE IN STORES - CLICK ADD TO CART! Note: At The Pinch Point we always work hard to ensure your order reaches you as quickly as possible, however please allow up to 3 weeks for delivery. Check our Shipping Policy for more information.